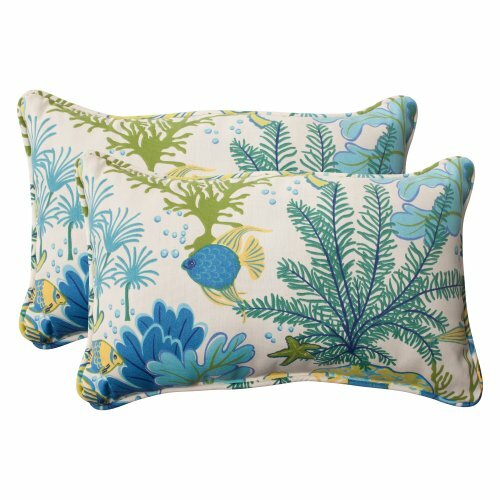 Add the perfect blend of color and comfort to any space in your home with this set of two rectangle throw pillows from the Pillow Perfect Splish Splash Collection. Dimensions: 18.5 in. L X 11.5 in. W X 5 in. D.